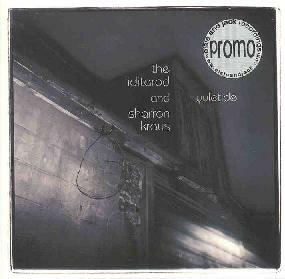 The Iditarod and Sharron Kraus - "Yuletide"
This CD is the result of a collaboration between The Rhode Island psych-folk group The Iditarod and British folksinger Sharon Kraus. I have heard (and quite dug) previous releases from both, so I came into it with some high expectations, and I am happy to report that I have pretty much been blown away by this release. This may be the best contemporary acid folk record I have heard, and is equal to any of the Kissing Spell releases of the original 70’s music such as Midwinter and Stone Angel. The music is stunning, melancholy and dark, with droning layers of guitar, banjo, accordion and tamboura filled out with various percussion and noisemakers, from finger cymbals, tinwhistles and much more. Sharon Kraus and Iditarod vocalist Carin Wagner share the vocals, and while both have wonderful voices when they sing together, as they do on the haunting opener “The Trees Are All Bare”, MAN, the hair on the back of my neck stands up, it’s so lovely and dark that it’s downright creepy. The songs are a mix of traditionals and originals, intercut with ambient passages put together by Jeffery Alexander from The Iditarod, and there is not a single duff moment. This is a stellar release on every level.